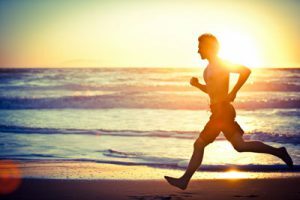 How can a Naturopath aid athletic performance ? Optimise energy and limit post-event fatigue. Ensure optimal nutritional status and support increased metabolic demand. Aid tissue repair and reduce recovery time. Support immune function and reduce incidences of the cold and flu. Support the general health of the individual and help them to be in the best shape possible. A healthy digestive function and a clean, varied diet that is high in nutritional content and low in foods that may contribute to systemic inflammation. Appropriate balance of macronutrients (Protein, Carbohydrate and Fat). Appropriate kilojoule intake depending on type of exercise, body size and composition, and time to next event. Addressing the increased demands of specific micronutrients such as magnesium, potassium, B vitamins, zinc, iron, calcium and certain antioxidants. Ensuring a healthy adrenal gland and optimal adrenal hormone profile. Promoting stable blood sugar levels and optimal glucose metabolism. Whether there has been a specific injury, or more generalised post-event muscle soreness, herbal and nutritional medicine can be useful in aiding tissue repair and reducing down time associated with pain and injury. Wound healing nutrients such as vitamins A, C, E and zinc may be considered to support the body’s natural repair process. Anti-inflammatory and analgesic herbs and along with fish oils, quercetin and bromelain can help reduce inflammation, protect joints, and aid repair and recovery. We know that moderate, regular exercise can have a positive impact on the immune system. However, intense exercise (greater than 90 minutes) can decrease immune fighting capacity for up to 72 hours. So supporting an athlete with anti viral, anti bacterial, immune herbs can help reduce the chances of infection and limit training time lost to illness. To achieve our sports goals, we need to be in the best physical and mental shape we can. So seeking the support of a naturopath, who will consider the body as a whole is important in ensuring all body systems are working to their capacity and that sporting performance is not affected by illness or fatigue. A naturopath will look outside the square to help ensure all systems are performing well. For example – poor digestion may impede the absorption of nutrients from an otherwise healthy diet; insomnia may be leaving a person tired and exhausted and not able to train; glucose metabolism dysfunction may be reducing energy production. What is important to remember is that each case is unique, and just because another athlete recommends a certain supplement, it may not be appropriate for you. Instead, consult a professional who has been trained in nutrition and herbal medicine to ensure you receive the most appropriate advice. If you want to know more about how naturopathy can help your athletic performance, or if you would like to schedule a consultation with Kathleen McFarlane, please contact us today.